Knox Financial Services, LLC is an equal opportunity employer. 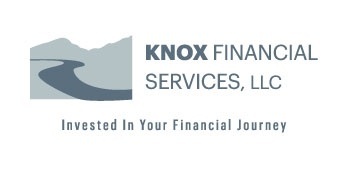 Knox Financial is actively seeking financial professionals with a desire to provide comprehensive financial planning and wealth management services to clients. The right person is creative, reliable, innovative, and is an open communicator. If you have a desire to provide outstanding client service, and possess an entrepreneurial spirit with a committment to succeed, you will fit well with our team. A broad knowledge of the financial planning world is necessary for this position. The Advisor should have a four-year college degree, and possess or be willing to obtain appropriate securities registrations and insurance licenses. Experience with working directly with individuals and groups is a must, as the Advisor will be responsible for developing, supporting and managing new client relationships. We utilize innovative technology, leading products and services that are also available from national firms, but retain our independence, allowing us to focus on our clients' needs, not a corporate agenda. We take pride in our local ownership, local decisions and a family-owned culture, allowing us to objectively develop Solutions when working with our clients. We believe our clients benefit from our collaborative team approach. As an Advisor with our firm, you will enjoy the opportunity to develop client relationships backed with the support, technology, collaborative team knowledge, experience and structure of an established practice. Giving back to the community is an integral part of our team culture. If you are an Advisor with an existing firm and reach out to us, be assured that our conversation will be held completely private.